I pre-ordered these and another pair of skates back in April. They were expected to start shipping in June and I was excited to get them. I had heard a lot of good things about the Moxi skates and it was time for me to move on from my old, boring, white skates. It was a little scary to order something like this online from a store I didn't have experience with, but the people from roller girl were amazing. They emailed me as soon as I ordered and kept contact with me to update me on what was happening. My skates ended up shipping a little later than expected because Rollergirl did not receive the pre-orderd skates when they thought they would--which is not their fault. 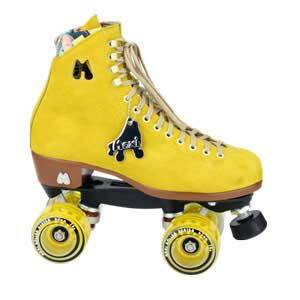 As soon as they arrived at Rollergirl they contacted me and my skates arrived within a week. I assume if i ordered something that was not a pre-order it would have shipped within a week. The skates themselves were perfect. I tried them on and they were an exact fit. The wheels and trucks needed adjusting which was easy to do with the crab tool that Moxi skates come with. The Moxi Lolly boots are extremely comfortable to wear. I've already gone skating in them multiple times. The beautiful yellow colour was worth the wait! So if you're reading this wondering if this website is genuine or trust worthy, I definitely recommend shopping from here. 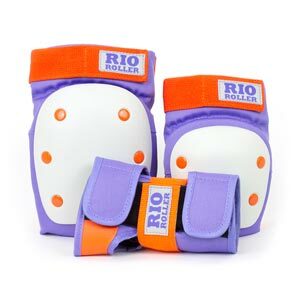 I even plan to make more purchases, hopefully going to get some colourful toe guards!